Advanced Piano - Issue #2 - Piano Lessons in Cherry Hill, Moorestown, NJ. 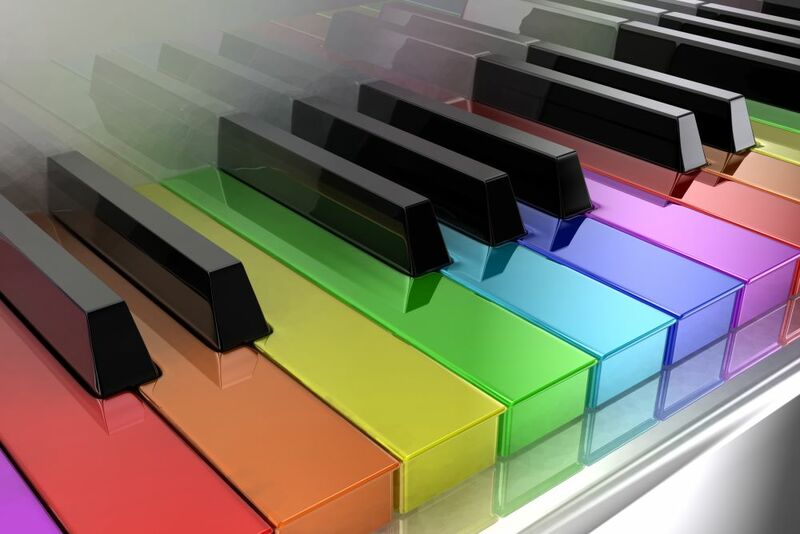 Piano Lessons in Cherry Hill, Moorestown, NJ. Fills, embellishments and arranging are three things that will not only make you a better musician, but they are skills that will increase your understanding and enjoyment of music to a level that you may have never thought possible. Can you sit down at a piano and just start playing something? I don't mean something you've memorized or even figuring out the notes of a song by ear. What I mean is -- can you create something original? Do you have an understanding of melody, harmony and rhythm that allows you to create something that you can call all your own? When I was in high school, I was asked to join a band to play at my friend's graduation party. I showed up to the first practice with the sheet music to Jackson Brown's song, "Running On Empty", which now that I think about it, was the perfect song to describe how ill prepared I was. Not because I couldn't play, but because I didn't understand how rock musicians learned songs. 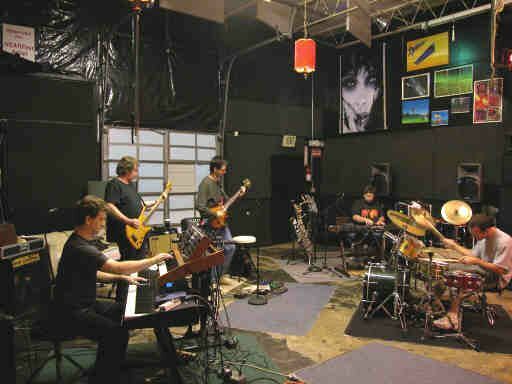 Of course, I was the only one to show up to band practice with sheet music, which any rock musician would tell you is a no, no. In fact, most rock musicians don't learn songs from sheet music, they learn songs by ear right off the recording -- a fact that any rock musician would be proud of. And I suppose I could share a few more horrors of that excruciating moment in my life, but I'll spare you and myself the embarrassing details. Suffice it to say, I got kicked out of the band after two rehearsals. I felt so bad that I let the band and my friend down that I let them hold onto my keyboard equipment for a few weeks until after the party. The point is, for all the formal training that I had up to that point, I wasn't able to play some fairly basic rock songs because I didn't know anything about chords. I didn't know it at the time, but chords really are the center of music. Melodies are based off chord progressions. In fact, it would be difficult, if not impossible, to write songs without a fairly decent knowledge of chords. If you really want to take your playing to the next level, then I suggest that you start learning all of the chords in the first two columns from the chart above -- then, find a piano instructor who teaches chord style piano. 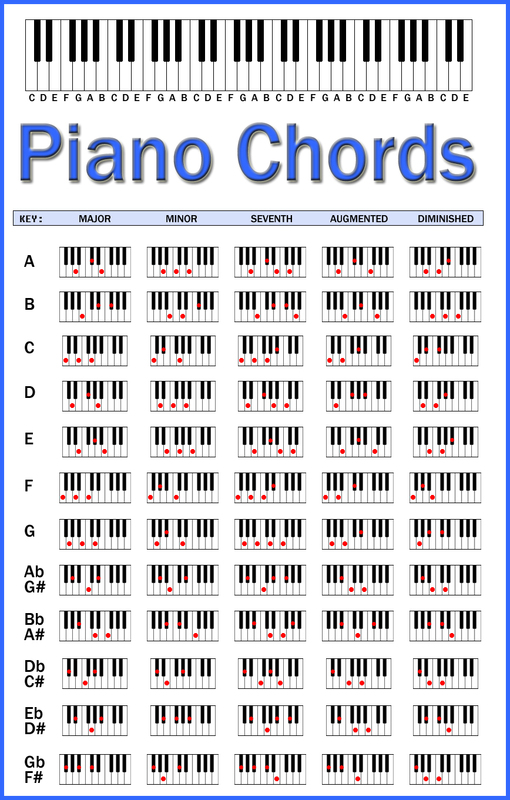 In fact, you don't have to be an advanced piano student to start learning chord style piano. I have a number of students who are very well versed in chord style piano, and they have only been playing for a few years. Many of them sound like they've been playing for a lot longer because they understand the structure of music. In other words -- they know their chords. My name is Guy Faux. 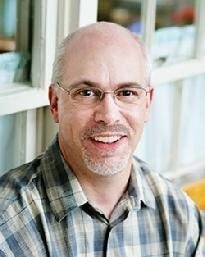 I am the school director and one of the piano teachers here at the Cherry Hill Academy of Piano & Guitar. I truly love teaching chord style piano. I have quite a few students on my student roster who never really took to traditional piano lessons and all the formal note reading required. The video below shows just one of my students who totally washed out of traditional teaching methods, but has really excelled at chord style piano. In fact, his mom can't keep him off of the piano. Call (856) 662-6855 today if you'd like more information about Guy's availability.